You can find safe, comfortable and affordable places to sleep on your family vacation if you learn how to find cheap kid-friendly accommodations. 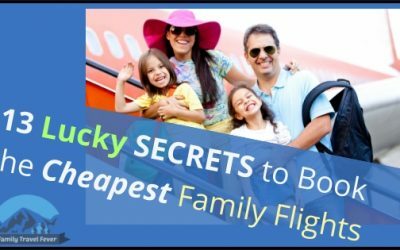 When it comes to family holidays, you are challenged to find child-friendly places to stay within your budget. The larger the family or multigenerational family gathering, the more creative and organized you will need to be. 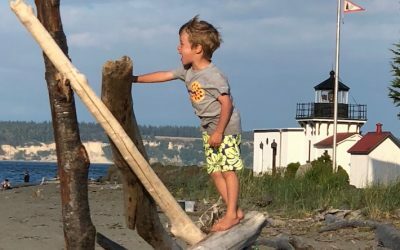 Single backpackers may sleep on a bench or a barn, but a family with kids changes the options and requirements for travel. Roughing it is no longer an option and one hotel room may be too small. 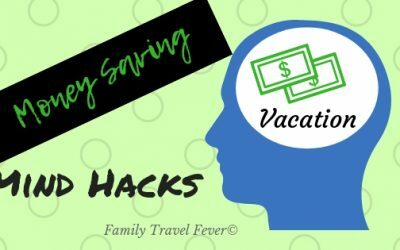 One of the biggest challenges of family trips is to reduce the cost of family travel accommodations. Traveling with a family requires finding the best option for accommodations that meet the requirements for your family. During the travel planning process, you must look at a variety of options and consider the cost of each. These tips and the extensive travel planning guide I created will help you through the process of planning your next trip. A little planning goes a long way in saving money and finding accommodations on a budget. 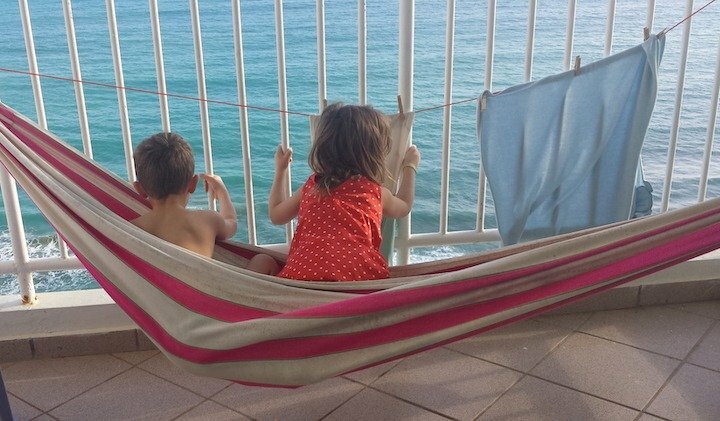 As a large family, we have to be creative about our accommodations and think outside the basic hotel room. In addition, hotels outside the US are strict about room occupancy and will not allow more than 3 or 4 people per room. So we would need 2 rooms which are expensive and presents logistical challenges – where Charles and I have to divide and conquer. We have stayed in family rooms at hostels, bed and breakfasts, cabins, tree houses, RVs, apartments, AirBNBs, VRBOs, boats, and more! We have many great memories of these alternative accommodations that our family has stayed in on our vacations. We even came home from renting an RV as transportation and accommodation and bought a camper of our own. All the options here include sleeping accommodations for all family members and a kitchen or kitchenette. Having a place to prepare meals and picnics saves money on eating out. When we travel we eat breakfast at where we stay, we pack a picnic for the day out and then eat dinner back at our accommodations. Of course this will change depending on the day and activities but generally, we follow this daily rhythm. In Dublin, we stayed in a furnished 2 bedroom apartment. My friend, who arranged for long-term rentals for students, recommended the location to us. This was an amazing kid-friendly accommodation with all the amenities of home and separate rooms to ensure everyone was well rested. 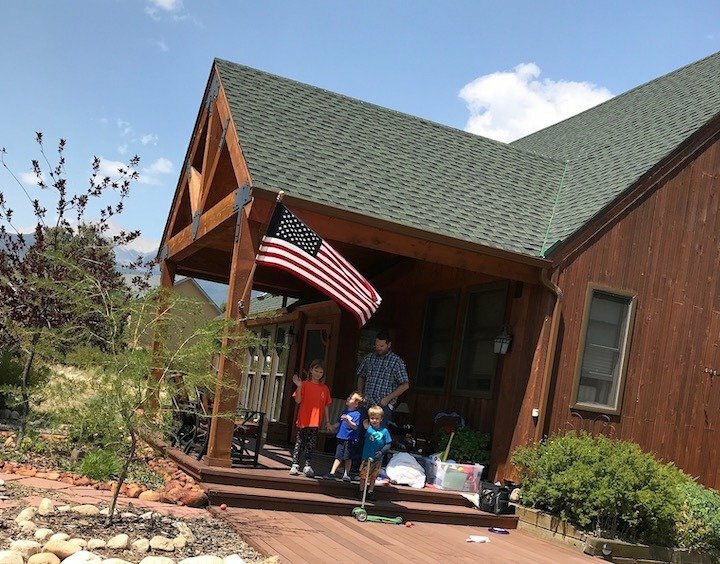 On multigenerational gatherings, we have stayed in condos and vacation rentals during the offseason in ski towns to reduce the cost. Our group ranges in ages an abilities so affordable child-friendly accommodations adult amenities is important. When we plan these large family holidays we are always looking for the best alternative to a standard hotel. Furnished apartments or vacation rentals operated by a company are a great option for families. If you are traveling during the offseason, such as summer in a ski town, you can find cheap accommodations for your whole family. Another way to rent apartments, vacation rentals and even homes are on Airbnb or VRBO. We have used both these services with luck on our family trips and multigenerational family gatherings. We have taken a cruise and stayed overnight on a houseboat that was stationary. I have heard of families sailing together and that sounds amazing! A cruise, private rental sailboat or yacht, can be both your family accommodation and transportation. You can move between ports or islands and do sightseeing. In addition, you may find kids sail free deal on a cruise that makes the accommodation even cheaper, especially if you have a large family. 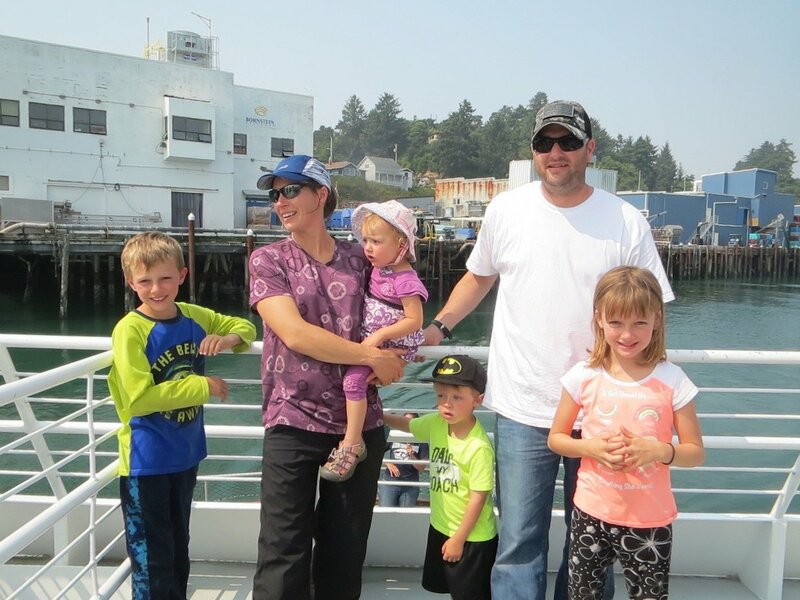 Cruises frequently arrange child-friendly activities while the adults enjoy some quiet time. To find an accommodation conduct an internet search for boat accommodations at your destination, check trip advisor and search on Airbnb. 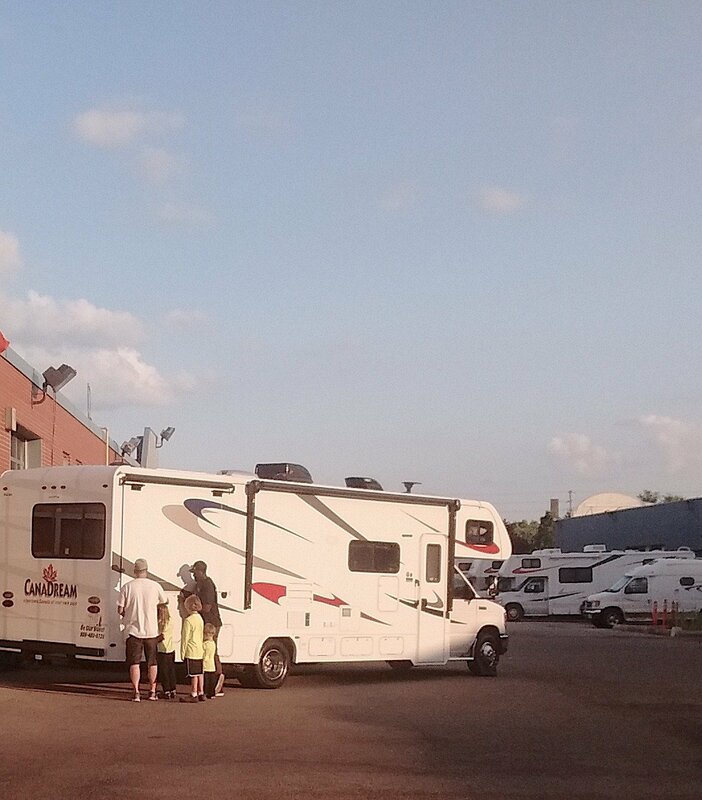 On a trip to Toronto Canada, I found a half-price deal on renting an RV. After estimating the cost of a rental van (a family of 6 doesn’t fit in a car) and hotels, the cost of the RV was cheaper than hotel rooms and a rental van. Plus, we had our own kitchen and didn’t need to pack up our suitcase and move. We had so much fun traveling and camping in the RV and frequently talk about that trip. Our RV trip was the ultimate affordable kid-friendly adventure! We generally eat breakfast in the camper. Then we stop at a rest area or playground near us for a picnic lunch and running around. At dinnertime, we again stop at another playground or interesting location and run around. We may have a picnic dinner or just warm something right in the camper. We rented from an RV rental company – you know the ones with the goofy stickers all over – but the sharing economy is another option. RVshare and Outdoorsy are two companies in the US that you can rent from. Tip: If you rent an RV make sure to ask about the amenities that come standard. You may need to reserve and pay extra for dishes, and kitchen appliances, towels and bedding. We were flying in and the deal we got included the extra kits. The ultimate budget option is to stay for free with friends and family. As our family has grown the option of staying inside someone house is becoming more difficult, so we are getting more creative. When we were a family of 4, free accommodation with friends and family was a little easier. Not everyone’s house is set up to accommodate an extra family of 6. Don’t let your creativity stop at just sleeping inside your friend’s house though. We can still stay with friends and family but we now park our RV in our their driveway. That may sound like a scene made for the movies but it works well if they have a lot of space, like a long driveway or a couple of acres. We save on campground fees but get many of the same amenities (electric, water, and wifi). It’s like having our own apartment right next door to the family. The kids can run over and see grandma in their PJs in the morning! Obviously, if your trip is planned around visiting family or friends the subject of staying with them will likely come up. What if you have picked a random place to visit? How do you find friends to stay with? The best way is to tap into your Facebook and social media networks. You could post about your upcoming trip and ask directly to stay with someone. If you are not comfortable outright asking you could get the conversation going by asking to get together and lead from there. Although not all hotels are kid-friendly, you can find some hotels with family rooms and suites. A single hotel room is generally out for our family and two rooms are both a logistical problem and get to be expensive. So if a hotel is an option we choose, we look for a one or two room suite. Some hotel chains have suites that are good for families to stay together. Plus, a suite generally has a kitchenette and may be cheaper than 2 (or even 3) rooms in a hotel. We frequently stay at Homewood Suites (on Hilton points). I have found that Homewood Suites and Marriott Suites are the best hotels for large families. You might think of a hostel as the single backpacker accommodation with dorm style rooms. Many hostels have family rooms and cater to a wider audience though. There has even been a trend towards luxury hostels which can be unique accommodations. We have stayed in family rooms in hostels in Europe. In one room, we had our own bathroom and they had a portable crib just for us. Hostels offer many amenities such as a good central location, bed and linens, laundry facilities and a common kitchen where meals can be prepared. To find family accommodations at a hostel search on sites like hihostels.com, HostelWorld.com, and booking.com. You should search the location, number of beds, bathroom and other amenities you require. After finding possible accommodations, read the reviews of the location. I always go to the bad reviews first. I read if the complaints are something I care about. For example, I don’t care about things like no cable or ugly pictures. I pay attention to reviews about cleanliness and late night noise. Expert Tip: Check if the hostel has a bar or encourages gathering for drinks in the late evening. This might signal late night partying which you will not want to deal with if you have a family. Many campgrounds, both private and public rent cabins, yurts or other cheap glamping accommodations. If you are traveling and want to camp but do not want to stay in a tent this is a great option. You can still stay at a cool campground and have the camping experience with the kids but have a real bed to sleep in. Furthermore, campgrounds are great if your group is large and require a mix of accommodations. We have been camping with girl scouts and other large groups and have planned a campground trip for the extended family. When getting together with large groups of friends or extended family, some people could bring their own RV or camper, some could rent a yurt or cabin and some could tent camp. You can be very creative in this type of cheap accommodation and may need to search in a variety of locations. No matter which continent you are looking for campgrounds with glamping, a good place to start is tripadvisor.com and AirBNB.com. In the US other good websites to look at are reserveamerica.com, gocampingamerica.com, compendium.com, and US Forest Service. With a little creativity and searching, you can find safe, comfortable and cheap accommodation for your family. So many of these places to sleep are unique and perfect for making a memorable vacation you will talk about long after you return home. Of course, the larger your family is or multigenerational family gathering, the more creative and organized you will need to be in securing the best and cheapest accommodations. What have you found to be the best place to sleep for your family? Which places are the most memorable?